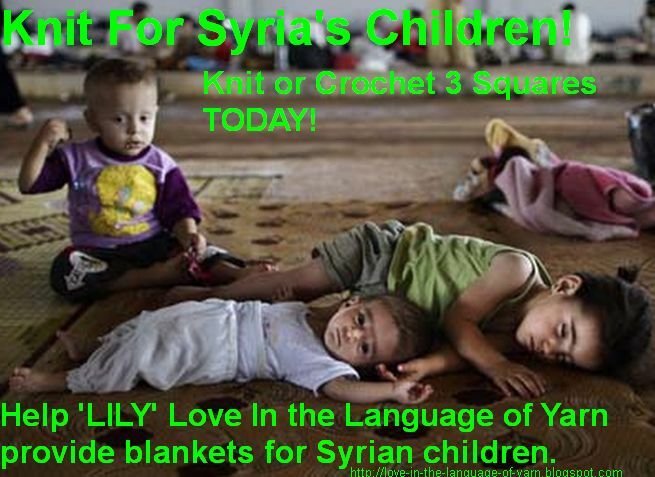 Love In the Language of Yarn and Education : Knit For Syria's Children. of the country, with temperatures as low as -8°C. Families fled, often without enough time to gather winter clothing for children. This winter, rationing of the power supply severely limited electric heating. Shortages of fuel pushed the price of kerosene up by as much as 500%, making it impossible for the poorest families to heat their shelters; in one area, 80% of households could not afford heating. This makes warm shelters and blankets all the more important, but in 2012 only 30% of those who needed blankets received them.